Being an adoptive parent presents you with a very unique set of challenges. Not only do you need to be familiar with the standard parenting techniques, but you also need to be able to handle some other issues. There will be inevitable questions from your child about who their birth parents are. You need to be sure you’re ready to tackle any difficult questions as and when they present themselves. 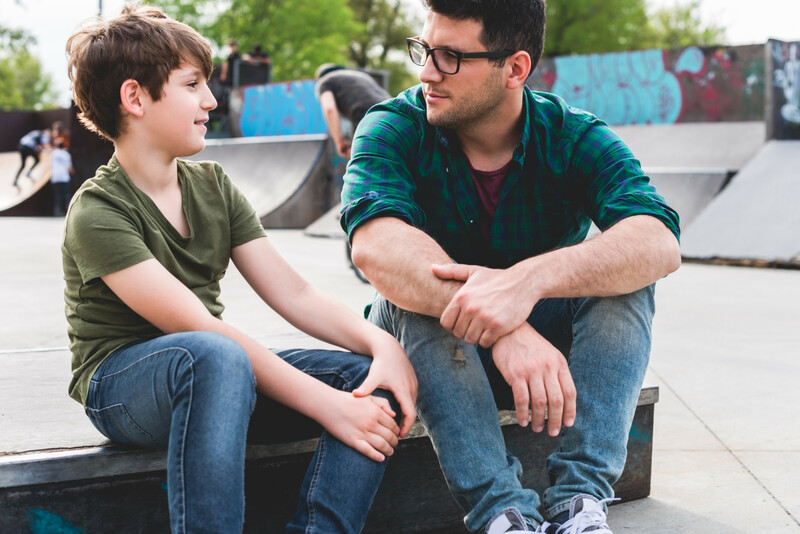 This article lists 8 tips on how to talk with your child about this subject. If you have an adopted child, you know they’re eventually going to have questions about their own background. Since certain questions are inevitable, you should make sure you have a direct plan of action for when they’re asked. Make sure to discuss this extensively with your partner so you’re both on the same page. You might not want to reveal all the details about your child’s past; the two of you might decide some things are better left until your child is older. When you tell your adopted child about their past, the overall message should always be a positive one. Make sure you convey that your child is loved and that they’re a welcome part of your family. In a lot of cases, you might also want to reiterate their birth parents love them as well. You might be able to explain in a positive way why they had to give your child up for adoption. You should always be honest with your child about their history, but you shouldn’t necessarily tell them everything straight away. Some information may be better handled when they’re more mature. You should never make up stories about your child’s birth parents. It might work well in the short-term to simply tell your child what you think they want to hear, but in the long-run, it’s always going to backfire. Don’t feel like you need to be able to answer every question. It’s better to say you don’t know the answers rather than make something up. In most cases, the birth parents of your child will have requested a semi-open adoption. If this applies to you and your child, it’s essential that you keep to these agreements. For the most part, keeping up a relationship with your child’s birth parents ends up being a positive experience. Visit this website to learn about DNA testing, which can help with finding birth parents. In the event that such a reunion isn’t possible, you should try and be honest about it as soon as your child has the necessary emotional maturity. Never let your child think they’ll meet their birth parents one day if you know it will be impossible. The adoption of your child should be seen as a milestone to be cherished. Make sure you remember the date you adopted your child and consider celebrating it on an annual basis. When you treat the anniversary of their adoption as a day to be remembered, they’re less likely to see their adoption as something to be ashamed of. If possible, you should consider getting the birth parents involved in the festivities. You should also be aware of certain other annual events. For example, there is National Adoption Month and Birth Mother Day. Sometimes, when you adopt a child, they might be a different race to you and your partner. In this situation, you’ll find the questions start coming a lot sooner than they would if you were the same race. Your child will probably have a lot of questions about the differences between their parents and them. When that time comes, you’ll need to have some good answers prepared. Take the time to learn about your child’s ethnic and cultural background. When your adopted child is a different race, it can present you with a lot of problems you might not expect. For example, you might find it hard to style your daughter’s hair, since the techniques you need to use will differ from what you’re used to. Taking the time to learn more about your child’s background can be very helpful in dealing with these sorts of issues. When you’re raising a child, there are always going to be issues. The majority of children experience some degree of emotional instability at one time or another. There’s a good chance your adopted child will have some problems with their identity. This is normal for any child, but it can be especially difficult if your child was adopted. Recognize that these kinds of issues are unavoidable. Just because your child struggles with their identity doesn’t mean you’ve failed as a parent. This is a natural part of raising a child, biological or adopted, so you shouldn’t let it demoralize you. You or your partner should never avoid talking about your child’s birth parents because it makes you uncomfortable. While it’s certainly appropriate to wait until your child is older to divulge certain aspects of their story, you shouldn’t try to get out of a difficult conversation by changing the subject. Avoid uncomfortable feelings when talking about your child’s birth parents by making sure you’re well-prepared for any questions your child might ask. As an adoptive parent, preparation is your greatest asset. Make sure you and your partner develop a plan of action as to how you’ll approach difficult subjects, such as who the birth parents are. This will ensure that you’re well-equipped to handle any difficult questions whenever they come up. Recognize that being an adoptive parent is not an easy path. But you should also appreciate that being an adoptive parent is an incredibly rewarding experience. However you look at it, you’re adding to and enriching your family. Planning on having a biological child soon? Here’s what you need to know about maternity leave.